Glioblastoma (GBM) is the most frequent and aggressive type of brain tumor. There are limited therapeutic options for GBM so that new and effective agents are urgently needed. Euphol is a tetracyclic triterpene alcohol, and it is the main constituent of the sap of the medicinal plant Euphorbia tirucalli. We previously identified anti-cancer activity in euphol based on the cytotoxicity screening of 73 human cancer cells. We now expand the toxicological screening of the inhibitory effect and bioactivity of euphol using two additional glioma primary cultures. Euphol exposure showed similar cytotoxicity against primary glioma cultures compared to commercial glioma cells. Euphol has concentration-dependent cytotoxic effects on cancer cell lines, with more than a five-fold difference in the IC50 values in some cell lines. 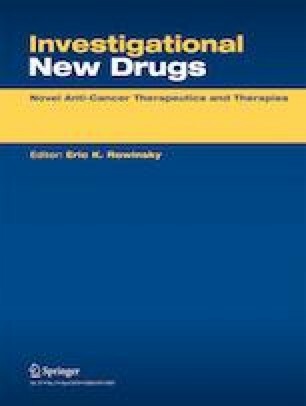 Euphol treatment had a higher selective cytotoxicity index (0.64–3.36) than temozolomide (0.11–1.13) and reduced both proliferation and cell motility. However, no effect was found on cell cycle distribution, invasion and colony formation. Importantly, the expression of the autophagy-associated protein LC3-II and acidic vesicular organelle formation were markedly increased, with Bafilomycin A1 potentiating cytotoxicity. Finally, euphol also exhibited antitumoral and antiangiogenic activity in vivo, using the chicken chorioallantoic membrane assay, with synergistic temozolomide interactions in most cell lines. In conclusion, euphol exerted in vitro and in vivo cytotoxicity against glioma cells, through several cancer pathways, including the activation of autophagy-associated cell death. These findings provide experimental support for further development of euphol as a novel therapeutic agent for GBM, either alone or in combination chemotherapy. The online version of this article ( https://doi.org/10.1007/s10637-018-0620-y) contains supplementary material, which is available to authorized users. The authors would like to thank Dr. Jeremy Squire for carefully proof-reading the English and for providing constructive criticism of the manuscript. The work was supported by the Amazônia Fitomedicamentos (FITO05/2012) Ltda. and Barretos Cancer Hospital, all from Brazil. Viviane A O Silva declares that she has conflict of interest. Marcela N Rosa declares that she has conflict of interest. Vera Miranda-Gonçalves declares that she no has conflict of interest. Angela M Costa declares that she no has conflict of interest. Aline Tansini declares that she no has conflict of interest. Adriane F. Evangelista declares that she no has conflict of interest. Olga Martinho declares that she no has conflict of interest. Adriana C. Carloni declares that she no has conflict of interest. Chris Jones declares that he no has conflict of interest. João Paulo Lima declares that he no has conflict of interest. Luiz F Pianowski declares that he has conflict of interest. Rui M Reis declares that he has conflict of interest.